FROM the clay God created man. 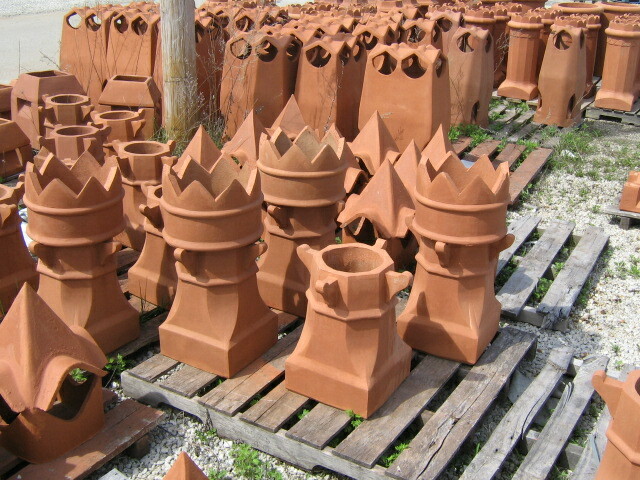 From the same clay man creates objects of functionality and beauty. 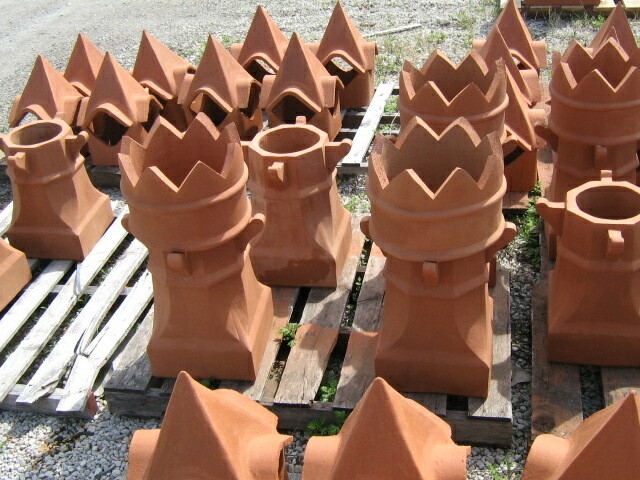 Terracotta/Clay CHIMNEY POTS have been used for centuries as the perfect finishing touch and functional position on chimneys great and small. 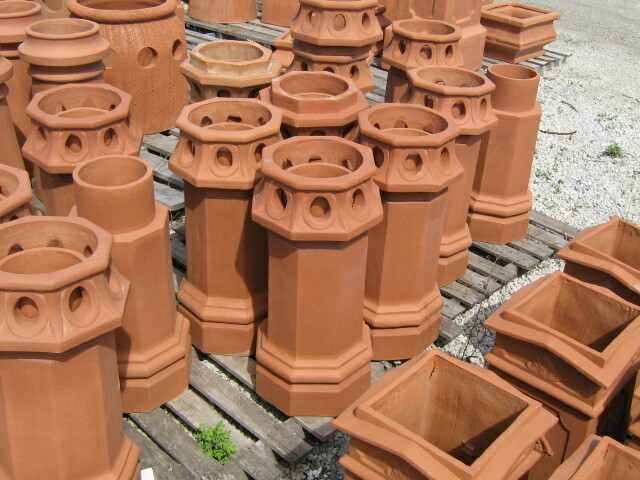 We offer here the Finest Quality Terracotta/Clay CHIMNEY POT/ chimney cap product line available. 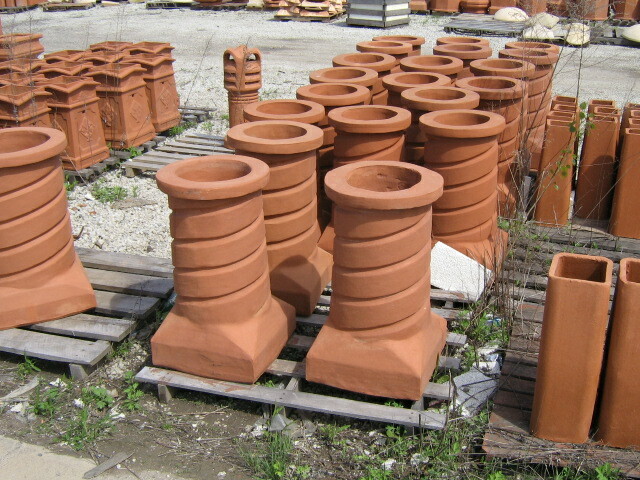 Produced domestically your purchase of these pots keeps your fellow countrymen and women working in this creative labor of love. God, Man and Clay. A symbiosis where the Clay is taken by God to create Man. 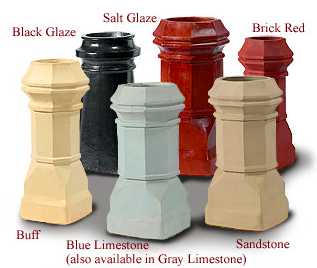 Man takes Clay and creates something to serve Man. The Clay has then been transformed through Mans’ creative power into something that improves the Clay to further benefit Man, completing this circle of creativity. 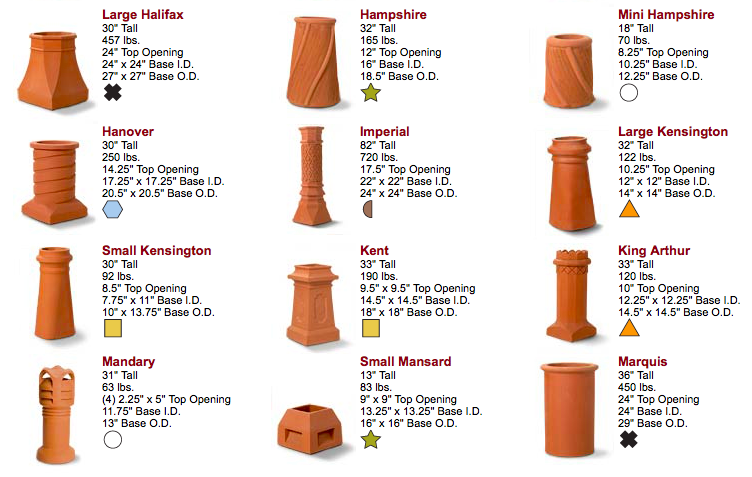 Clay chimney pots are the best way to finish a well constructed chimney. 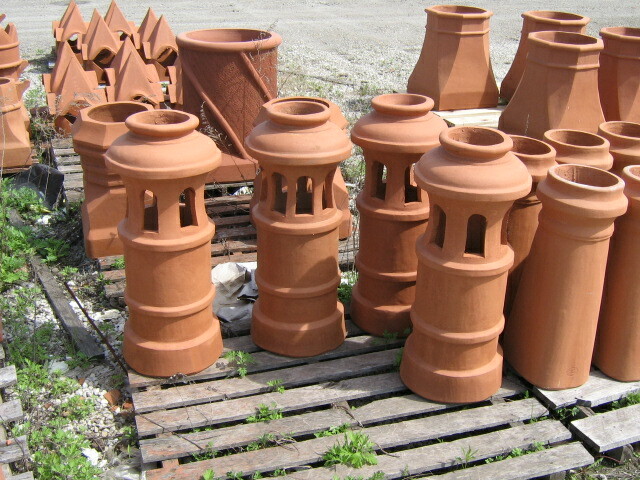 Sometimes referred to as chimney caps, clay pots, terra cotta pots, chimney cover, terracotta pots. 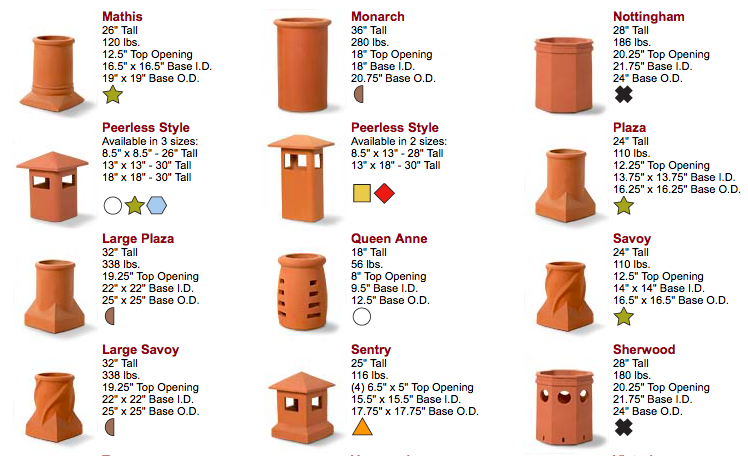 The fine group of designs chimney pot represent a classic architectural clay chimney pot. 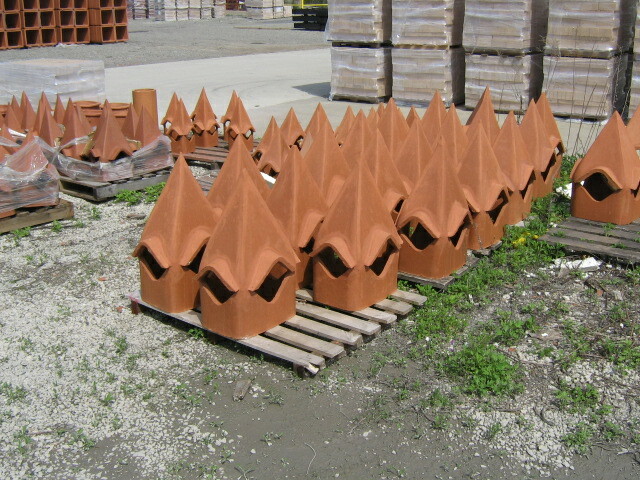 Brought to you by REALGOODS Company, We look forward to supplying the CHIMNEY POTS / terracotta chimney pots of your dreams, for your benefit now, and for future generations to come.